Happy Fourth of July weekend America! 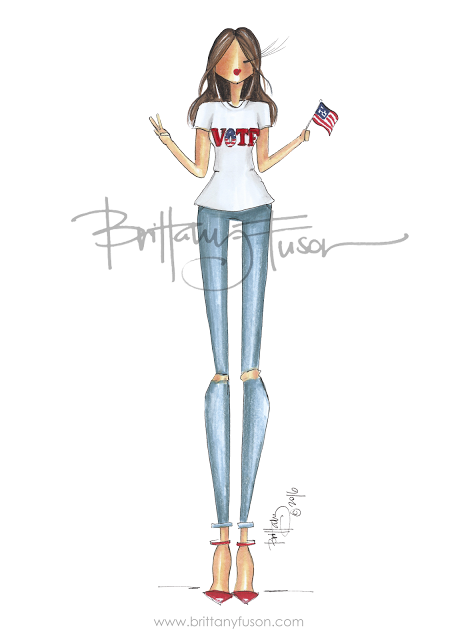 And, what better way to celebrate then to get fired up about the presidential election? You know, because…’Merica! You really can’t turn on the TV, open a browser or newspaper, or tune in a radio station and not hear or read something having to do with this fall’s presidential election. Even recently as I floated in a Hill Country swimming hole with friends, election talk could not be avoided. Who was voting for whom was a mixed bag, and at one point the supporter of the candidate I’m not supporting said “then just don’t vote” and I told her the same. In that scenario, we would cancel out each other’s votes so in essence our votes wouldn’t count. But do they anyway? Primary season has come and gone and we voters are left with two candidates from which to choose our next leader: Republican Donald Trump and Democrat Hillary Clinton. This, of course, barring any third party run (I’m looking at you Gary Johnson) or Republican National Convention chaos, or even Mrs. Clinton being indicted from the federal investigation of her now infamous email browser. I’m not going there at all, but I am going to college: the Electoral College. What is it exactly and how does it work? It’s important to start by reminding (or educating) everyone that the United States doesn’t elect presidents based on the popular vote. In other words, the candidate with the most votes doesn’t necessarily win. (see Bush vs. Gore 2000). It all starts with primaries and caucuses. Up to this point, every state has held either a state primary or caucus, during which voters selected a winner. 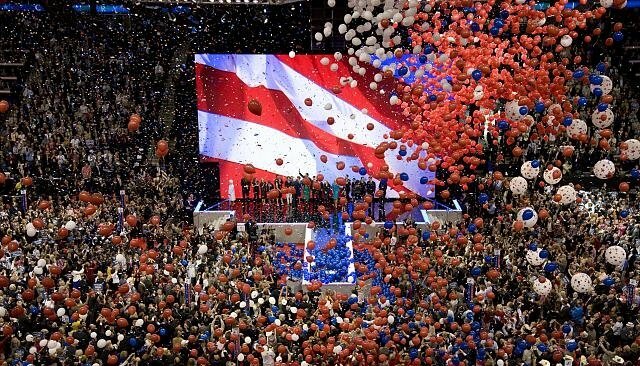 Next up are both party’s National Conventions when delegates officially nominate their presidential ticket. It’s those names that will appear on the November general election presidential ballot, which is held on the Tuesday following the first Monday in November in years divisible by four. 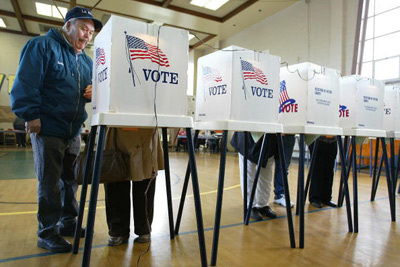 A Primary Election or Caucus is held in every state prior to a November general election. Their purpose is to allow every registered voter in every state to vote. We vote for candidates but what we’re really choosing are delegates to represent our state at the party’s national convention. The goal is to get an accurate representation of delegates to vote at those conventions. So who are the delegates and how are they selected? There are two types of delegates that go to national conventions: a pledged delegate (or “delegate” as they are usually referred to) and “superdelegates,” who in a way really do have super powers. A delegate is basically someone nominated to attend the national party convention. Their naming comes as a result of their state’s primary election or caucus and they vow to vote for that candidate at the convention. In other words, whatever candidate won their state’s primary is who they pledge to vote for at the convention. Example: if someone supported Marco Rubio during the primary season but is selected as a Republican National Convention delegate, he or she pledges to nominate Donald Trump as the party’s official candidate at the convention. A superdelegate, on the otherhand, can vote for whoever they want. Only the Democratic Party uses superdelegates and as you can imagine, they are like gold. Any U.S. citizen registered with a party can be a delegate but it’s all very competitive and the role is commonly reserved for those who campaign for it and have a history of serving the party well statewide. Caucuses are the original form of selecting delegates but are now used only by a handful of states. At them, potential delegates are named and then selected after much debate and discussion. Although there is no official address or building for the Electoral College, it’s uber important as it essentially chooses the leader of the free world. It’s also all you’ll hear about on Election Night as news reports tally and count “electoral vote” totals state-by-state. We use this system of appointed electors for this election and this one only. It will take 270 electoral votes to win the 2016 presidential election. First one to 270 wins! Basically, each state is allotted electors equal to its number of members of the U.S. House and Senate combined. History class refresher: every state has two U.S. Senators but the number of Representatives is based on population. States with bigger populations have more reps in D.C. and therefore more electoral votes. Campaigning in California could be more important to a candidate then campaigning in Montana. The Electoral College is a “winner take all” system and any U.S. citizen can become an elector. Appointed by individual state party leaders, electors are bound to a particular presidential ticket. And, even though we will individually vote for a candidate on November 8, we are actually voting for presidential electors. Whichever candidate wins each state’s popular vote wins its coveted electoral votes as well. If it all sounds a bit like convention delegates, it’s because it is, just for a different purpose. Primaries, caucuses, and conventions are all about choosing a candidate, while the Electoral College is about choosing a president. The words “Electoral College” don’t appear in the Constitution but the process of it is outlined in Article One. The practice reflects the Founding Father’s desire to maintain our country’s celebrated “separation of powers” and “checks and balances” systems and was first used to elect none other than George Washington after being adopted at the Constitutional Convention in 1787. Not a lot has changed since then, except that originally electors voted for two people. Whoever got the most votes became president with the first runner up becoming vice president. That all changed in 1804 when the Twelfth Amendment created the process we use today. The method was also seen as a way to ensure the U.S. operated as a federation of individual states and with limited federal government involvement. It’s how our country was meant to be. Founding Fathers believed state’s electors would know better which candidate would serve their state best so keeping political powers within state governments was encouraged. Much has changed since then, but much has stayed the same. SO, DOES MY VOTE COUNT? Yes, and maybe no. Your vote for a candidate in your state’s general election this November influences which candidate gets the most votes in that state. And remember, all of that state’s electoral votes are allotted to the state’s popular vote winner. So, in a way, when you vote, you may be voting for your candidate, but you’re also voting for the party slate of Electors representing your choice for president and vice president. I know, I know. It’s all very confusing. Maybe a few “pros” and “cons” regarding the Electoral College will help. It protects minority interests in that all states, even those with lower populations and in rural areas, have equal voices and no one region has enough electoral votes to elect a president. It’s a fairly accurate method with a 90 percent success rate of choosing the candidate who won the popular vote more than nine out of 10 times. It strengthens the two-party system (some might consider this a con) by encouraging generalized platforms rather than specific issues-driven agendas. Because all but two states employ a “winner takes all” process, the winner does enjoy a clear majority. It gives states the power to elect our presidents and keeps them an integral part of the entire selection process. A candidate can win the popular vote but still not be elected president as was the case in 2000 (remember all those hanging chads in Florida?!) when Al Gore won more popular votes but George W. Bush won the majority of electoral votes. As mentioned in the above “pros,” no one U.S. region has the electoral power to pick a president but, so-called “swing states” have a great deal of power and get a lot of attention. In fact, some people think a presidential election comes down to voters in Colorado, Florida, Iowa, New Hampshire, Nevada, Ohio, Pennsylvania, Virginia, and Wisconsin. So much so, that candidates often focus their appearances and campaign funding in those states. It’s complicated, confusing, and deters people from voting. Small states and swing states get more power (some might consider this a pro) since one person does not equal one vote per se. For example, California’s 55 electoral votes represent approximately 700,000 people per vote while Wyoming’s three electoral votes represent just under 200,000 people. Its longstanding two party system suppresses third party candidates and participation. Maybe all of this matters to you, maybe you could care less. What I do hope you care about though, is voting. It is a privilege we often take for granted and a right that literally hundreds of thousands around the world only dream of having. Don’t be that American. Get out and vote.